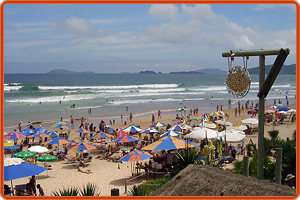 Buzios is a peninsula of 22 beaches located about 100 miles from the city of Rio De Janeiro. With dense forests, lush vegetations and enchanting beaches it's the perfect holiday get away. At any time of the week you will see beautiful people in bikinis and shorts soaking up and having fun at the shores. This place is also a very famous party hot spot. There are tons of bars, clubs, and restaurants that stay open well into the early morning hours. 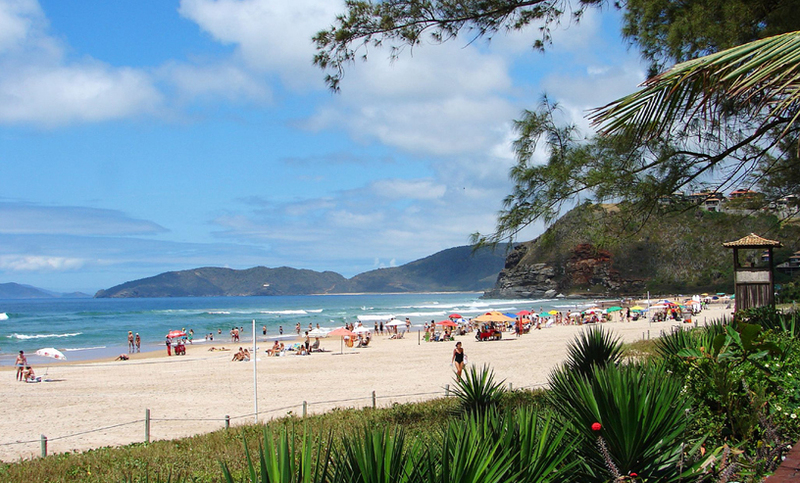 The most popular beach is the Praia de Geriba. There are different sea conditions on different sections of the beach. Children and weaker swimmers can try the waters on the east end of Praia de Geriba Beach as it has the gentlest waves. The ocean bottom along the Buzios beach has no coral and is not very rocky. Thus, it's a very good beach for water sports novices to learn. Along the coastlines are many bistros, restaurants, and bars. After sunset, you'll hear lively Brazilian music coming from most of them and they play on till early morning, perfect for people who like to party all night. If you walk along the village lines you will find many restaurants and nightclubs both low and high end to some very sophisticated ones that are frequented by celebrities. They play all kinds of music from hip hop, jazz, trance etc. The venues of accommodation range across a spectrum with clean affordable rooms too are easily available.